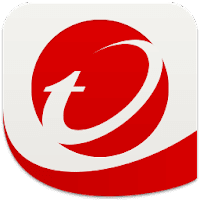 Trend Micro Antivirus for Mac is a full-featured solution designed to meet the security needs of Mac users by providing privacy and protection from online threats, dangerous websites, and identity thieves so you can enjoy your digital life safely. Trend Micro protects you against the newest types of attacks, including ransomware, which can encrypt your data until you pay off the bad guy. As Macs are no longer immune to viruses and other Internet threats, Mac users need privacy protection when shopping, banking, and socializing online. Its unique security is designed to safeguard your privacy on social networks like Facebook, Google+, Twitter, and LinkedIn by identifying privacy settings on social sites that may expose your personal information and lead to identity theft. With Trend Micro, you can relax and enjoy your digital life safely. Disclaimer: Direct downloads for the lastest version of Trend Micro Antivirus for Mac 8.0.2004 are provided by the official software's author, we can't guarantee safety, availability or download speed. Moreover, we don't and we won't provide any pirated/illegal versions or tools. We recommend you to avoid it as these methods can harm your device. If you like the software, buy it to support the developers. (We provide software discounts for many worldwide brands).